Studies in mice and human stem cells demonstrate that the genome-editing technique CRISPR can correct disease-causing mutations. 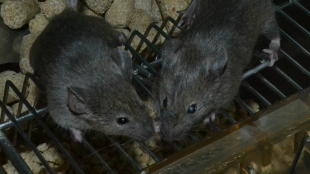 CRISPR corrected a cataract-causing genetic defect in a mutant mouse (left); control cataract-model mouse (right).JINSONG LIIt was less than a year ago that scientists first applied CRISPR, a genome-editing technique, to human cells. In short order, the technique has taken off like wildfire. And now, two papers appearing in Cell Stem Cell today (December 5) show that CRISPR can be used to rewrite genetic defects to effectively cure diseases in mice and human stem cells. “What’s significant about this is it’s taking CRISPR to that next step of what it can be used for, and in this case, it’s correcting mutations that cause disease,” said Charles Gersbach, a genomics researcher at Duke University, who was not involved in either study. CRISPR stands for clustered regularly interspaced short palindromic repeats. These RNA sequences serve an immune function in archaea and bacteria, but in the last year or so, scientists have seized upon them to rewrite genes. The RNA sequence serves as a guide to target a DNA sequence in, say, a zygote or a stem cell. The guide sequence leads an enzyme, Cas9, to the DNA of interest. 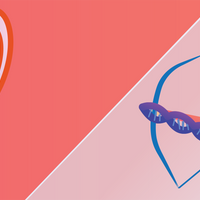 Cas9 can cut the double strand, nick it, or even knock down gene expression. After Cas9 injures the DNA, repair systems fix the sequence—or new sequences can be inserted. In one of the new papers, a team from China used CRISPR/Cas9 to replace a single base pair mutation that causes cataracts in mice. 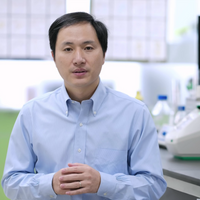 The researchers, led by Jinsong Li at the Shanghai Institute for Biological Sciences, designed a guide RNA that led Cas9 to the mutant allele where it induced a cleavage of the DNA. Then using either the other wild-type allele or oligos given to the zygotes repair mechanisms corrected the sequence of the broken allele. 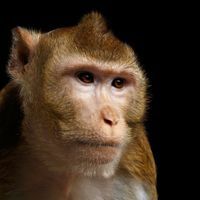 Still, this was the first time CRISPR had been used to cure a disease in a whole animal, an advance that Jennifer Doudna, a leader in CRISPR technology at the University of California, Berkeley, said was encouraging. 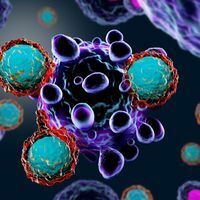 Both studies “show the potential for using the technology to correct disease-causing mutations, and that’s what very exciting here,” she said. Hans Clevers, a stem cell researcher at the Hubrecht Institute in Utrecht, The Netherlands, led the other study, which used CRISPR/Cas9 to correct a defect associated with cystic fibrosis in human stem cells. The team’s target was the gene for an ion channel, cystic fibrosis transmembrane conductor receptor (CFTR). A deletion in CFTR causes the protein to misfold in cystic fibrosis patients. Using cultured intestinal stem cells developed from cell samples from two children with cystic fibrosis, Clevers’s team was able to correct the defect using CRISPR along with a donor plasmid containing the reparative sequence to be inserted. The researchers then grew the cells into intestinal “organoids,” or miniature guts, and showed that they functioned normally. In this case, about half of clonal organoids underwent the proper genetic correction, Clevers said. For both studies, the researchers did not have to make significant modifications to existing CRISPR protocols. Clevers said in an e-mail to The Scientist that, compared with other gene editing techniques, CRISPR was straightforward. “We tried TALENs [transcription activator-like effector nucleases] and Zinc finger approaches. CRISPR is exquisitely fast and simple,” Clevers said. Li agreed. “I think CRISPR/Cas9 system may be the easiest strategy to cure genetic disease than any other available gene-editing techniques,” he said. One limitation of CRISPR is that the approach can create off-target effects—alterations to sites other than the target DNA. In both studies, off-target effects were relatively rare, said Gersbach. “While reducing off-target effects is a priority, it’s unrealistic to think you’d be able to get rid of all off-target effects,” he told The Scientist. While the approach is far from ready for prime time, the results of both these studies show promise for future clinical potential. “I think each time an advance like this is made, people are more sure that this is a technique that is likely to be useful in treating humans,” said Doudna. G. Schwank, “Functional repair of CFTR by CRISPR/Cas9 in intestinal stem cell organoids of cystic fibrosis patients,” Cell Stem Cell, 13:653–58, 2013. Y. Wu, “Correction of a genetic disease in mouse via use of CRISPR-Cas9,” Cell Stem Cell, 13:659–62, 2013.